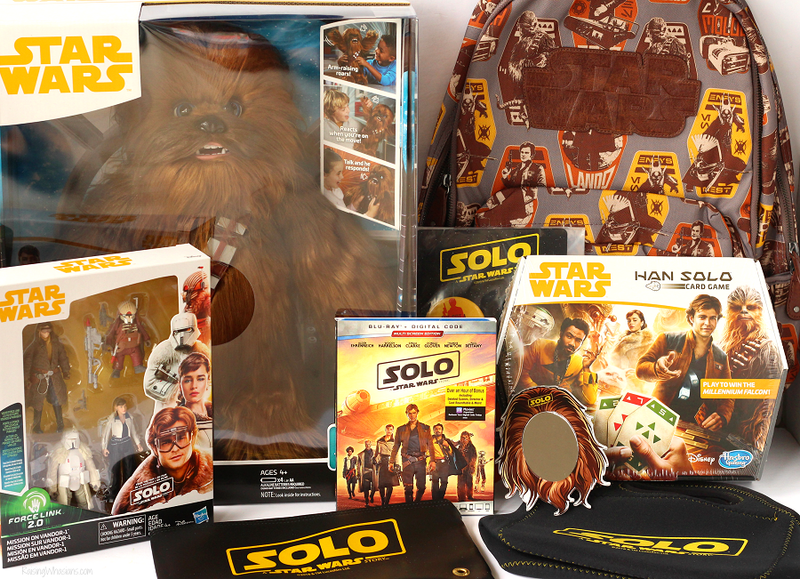 Star Wars Ultimate Co-Pilot Chewie – featuring over 100 sound and motion combinations! Star Wars Force Link 2.0 Mission on Vandor Figure 4-Pack – including 8 accessories and Force Link technology interaction! The backpack is my favorite statement piece. How fun is the leather accents? 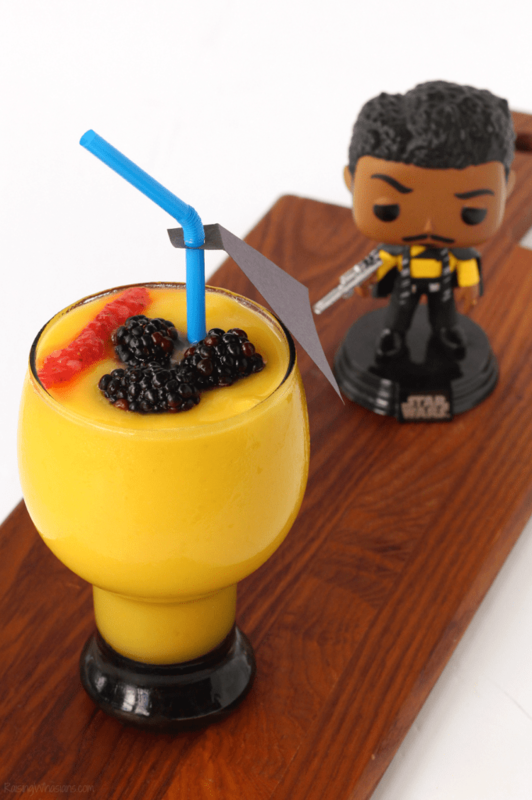 Blend pineapple, OJ and mango until smooth. Add ice cubes and pulse blend until smooth. Top with a streak of strawberry puree and handful blackberries for garnish. 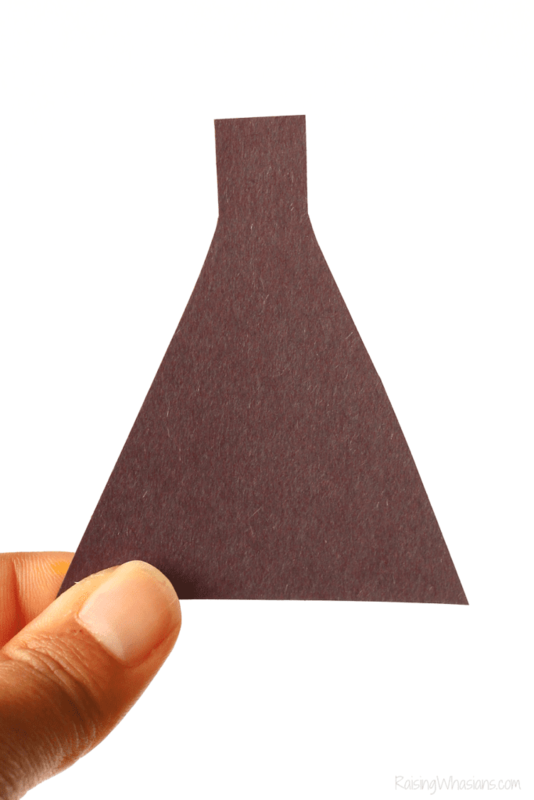 Cut a black cape out of construction paper. Single hole punch the top, bend, and thread through your straw. 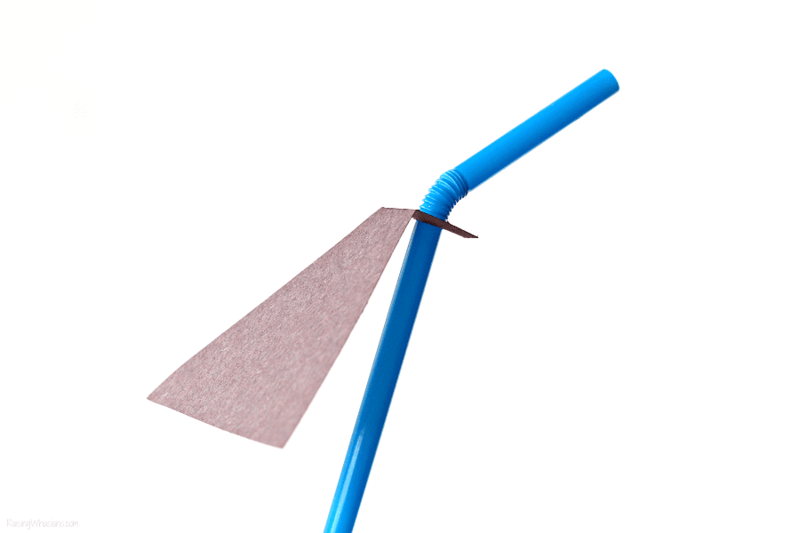 Insert straw into your smoothie. Serve immediately! Store in fridge. 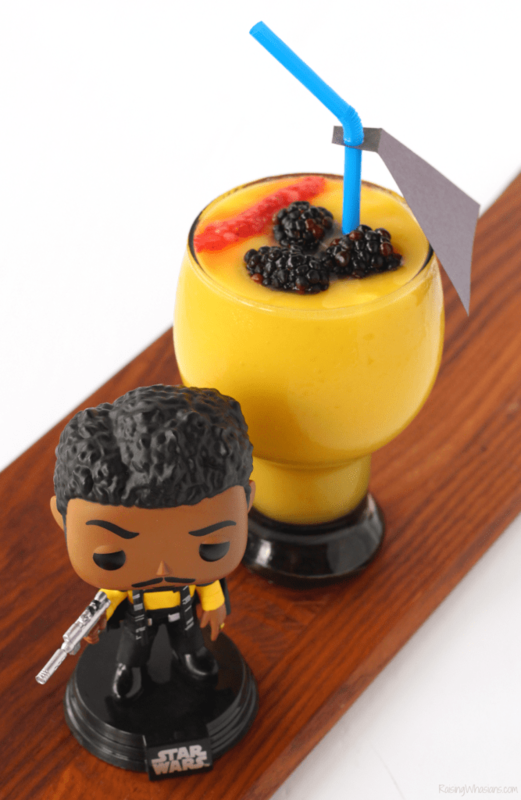 How fun is this Lando Calrissian Smoothie while watching Solo: A Star Wars story? 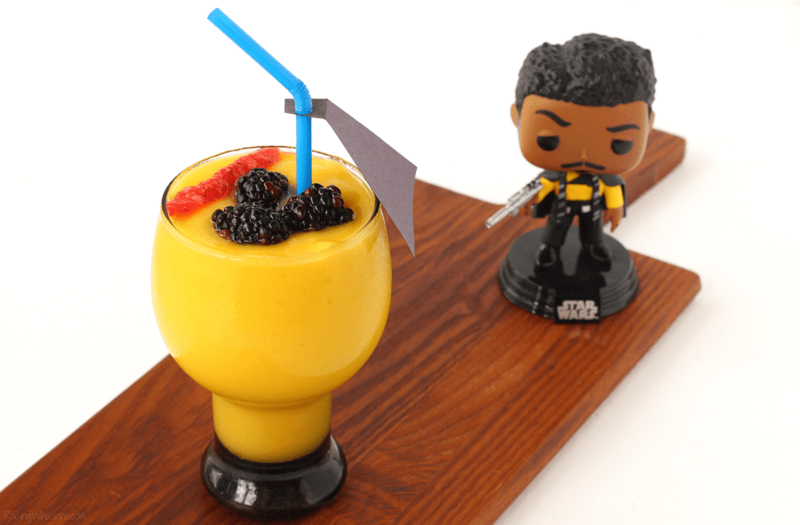 Perfect kids drink for family movie night or a birthday party, I love the vibrant yellow – Lando’s signature color in the movie! YUM! 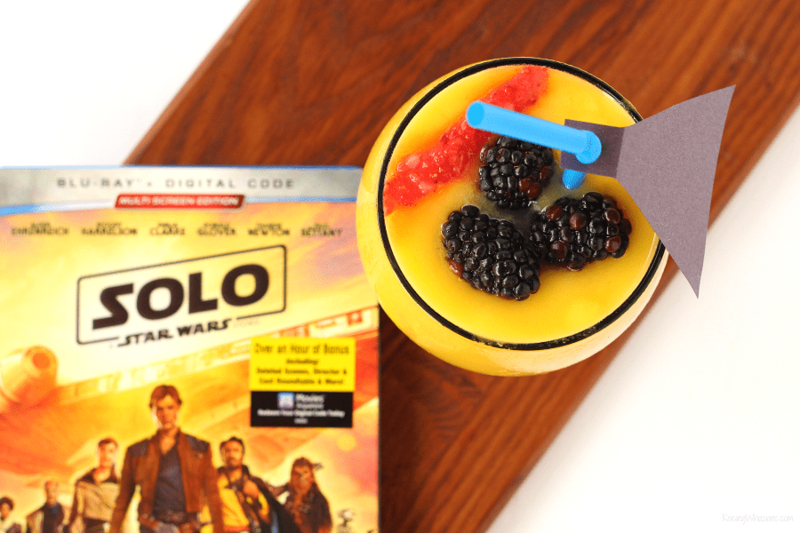 So whether you’re watching Solo: A Star Wars Story at home with the family, or gearing up for an out-of-this-galaxy party, this Lando Calrissian Smoothie is the perfect family drink idea for the ultimate Star Wars fan. Because what would Star Wars be with our favorite smooth criminal? 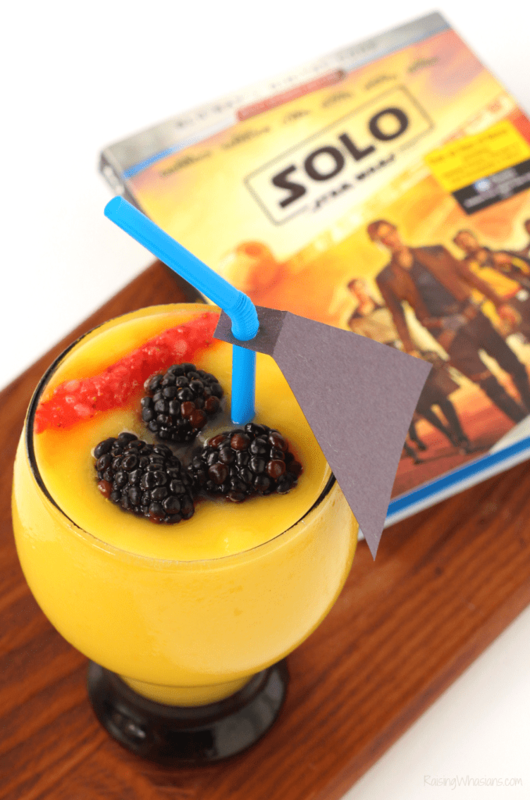 Be sure to pick up Solo: A Star Wars Story, available on digital now and Blu-Ray/DVD on Tuesday September 25, 2018.
Who would you share a Lando Calrissian Smoothie with? 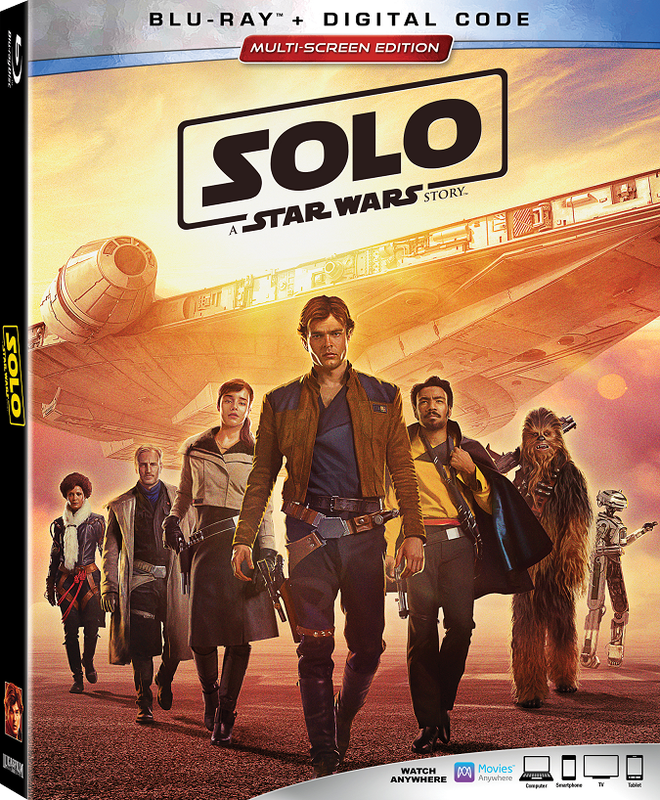 Are you a fan of Solo: A Star Wars Story? Be sure to follow Raising Whasians via Facebook, Twitter, Google, Instagram, Pinterest and YouTube for kid-friendly recipes, crafts, travel tips, entertainment updates and more! 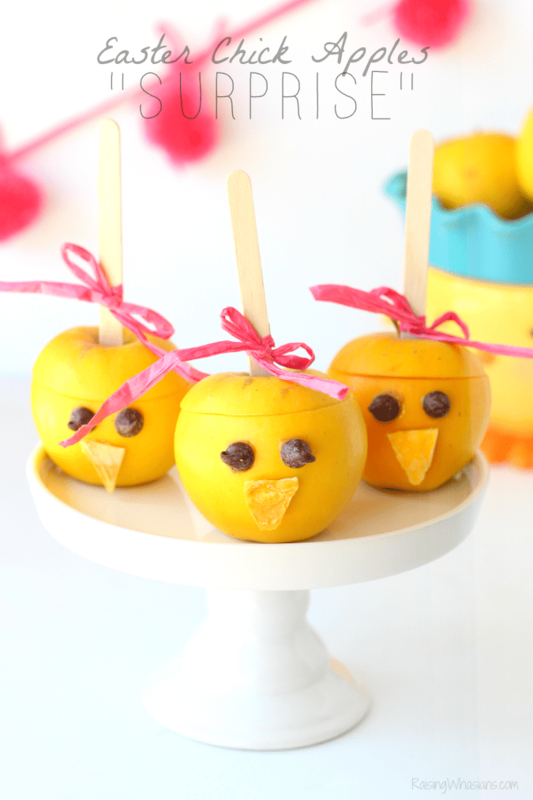 Looking for more fun movie night ideas?